After two years of trying to sell our Des Moines Northwest home, Eric and I have (I think) finally made the decision to stay put. We love Des Moines, but with interest rates so low and the idea of moving closer to our kids’ private school in West Des Moines (a 25 minute one-way commute), we’ve been looking for any sign of hope that moving to a newer home might be what God wants us to do! We tried to sell it ourselves. We rented a storage unit and paid to store things we apparently can live without for over a year. We hired a realtor. We showed the house dozens of times, cleaning constantly and living with the distraction. And now, we’re done for a while. It’s funny… now that we’ve finally decided to keep our current home for a few more years, we’re starting to realize that there are so many more options than simply moving away could offer us. Like refinancing at that lower interest rate we’ve been eyeing for years… and shortening the loan period in the process! As we explore our options, I’m so grateful for the advertisers we’ve worked with at Pulse over the years. It’s good to know that I can find solid, honest, hard-working business partners as we work through our choices. This morning, we met with Gary Bierma with Bierma Construction. A Pulse advertiser and personal friend who has been in the business for 20+ years, Gary talked us through all of our options on new siding and windows for our current home (I’m still lobbying for a bay window to replace my picture window! )… and maybe even that four-season room for the back of our house. We thought, “Hey, if we’re going to stay here another few years, why not spruce up the place a bit? !” After all, the first ten years of owning a home, complete with college loans, babies, and more, have kept us from doing just that. Now, we have options! Gary was so helpful today, and I’m so excited to have a trustworthy business partner to guide us through a daunting process. Whatever you’re in need of, whether it’s a videographer, an insurance agent, handyman, realtor, etc., be sure to check the Good Living section of our website and click on AdPartners. 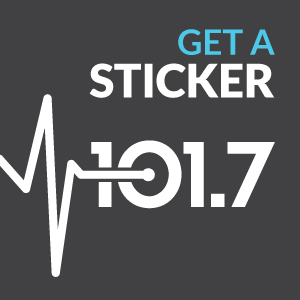 I think you’ll find, as I have, that the advertisers associated with Pulse 101.7FM are worth meeting… and can make decision-making a much smoother and more confident process! Thanks for the many kind words and generous gifts during our two on-air birthday days. It is a privilege to be a part of bringing Today’s Positive Music to our cities. HERE’S THE UPDATE on our birthday month so far! 100 needed one-time gifts of 99.50 – 10 to go! 10 day full day of programming of $840 – 1 to go! 40 additional monthly pledges needed…joining the other 250 listeners who already give monthly! 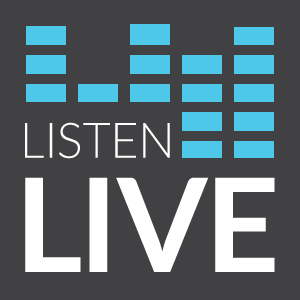 Call us weekdays from 9:30-4:30 at 987-9995 or click the give button on Pulse995.com. We are excited about our 18th year. With our deepest regards for your partnership. Thank you, thank you, thank you! It’s your station’s birthday, and we’re having a virtual birthday party over the next two days! Good music, good friends, gifts… and what’s a birthday party without fun party favors? We’re all about the fun, so when you give a birthday gift to Pulse 101.7 today, we have a little thank you gift for you! Skillet just released the “Awake and Remixed EP…” which includes four great songs remixed for a new sound this spring. When you give a one-time gift of $99.50 or more today, we’ll thank you by sending your “party favor” via email… it’s the entire Skillet Remixed EP for you to download and enjoy! Join us for our birthday party, going on right now! To help us celebrate and keep your station strong for another year, make your pledge today by clicking here… and be sure to pay online and enter a valid email address to receive your free download. Thanks for your support!